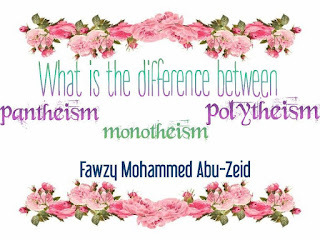 What is the difference between pantheism, polytheism, atheism and monotheism? 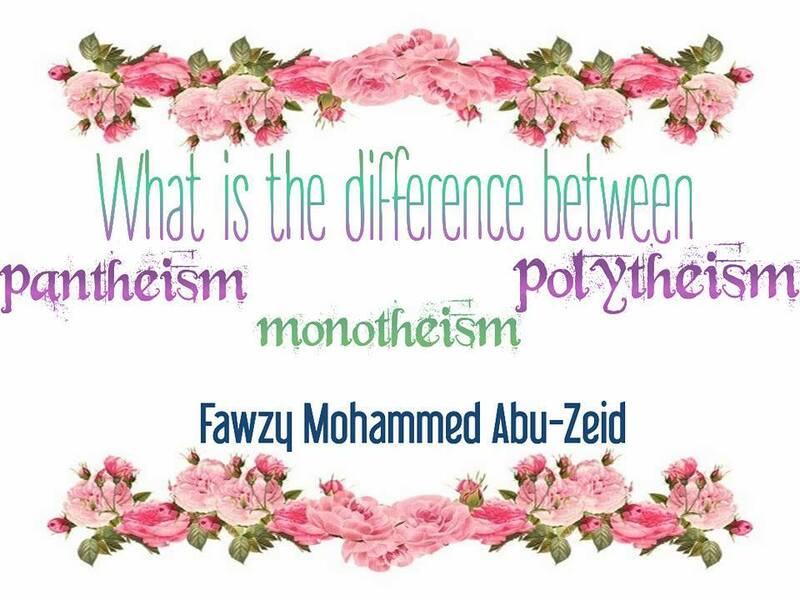 1-Pantheism: This is a philosophical issue, it is not found in religions or in fact. Those who imagine it think that the universe is one thing, which is God and nothing is separated from Him. They think that the universe even in its different pictures has only one fact that controls and moves it, which is the divine fact. They illegally accuse some great Muslim Sufis like Ibn-Araby and Asahrawardy that they say the same thing, but their words and their deeds are against it. 21:22. "If there were, in the heavens and the earth, other Gods besides God, there would have been confusion in both". 7:186. "in their trespasses, (they are) wandering in distraction". 42:11. "There is nothing whatever like unto Him, and He is the One that hears and sees (all things)". 112:3,4. "He begets not, nor is He begotten. And there is none like unto Him". 21:23. "He cannot be questioned for His acts, but they will be questioned (for theirs)"